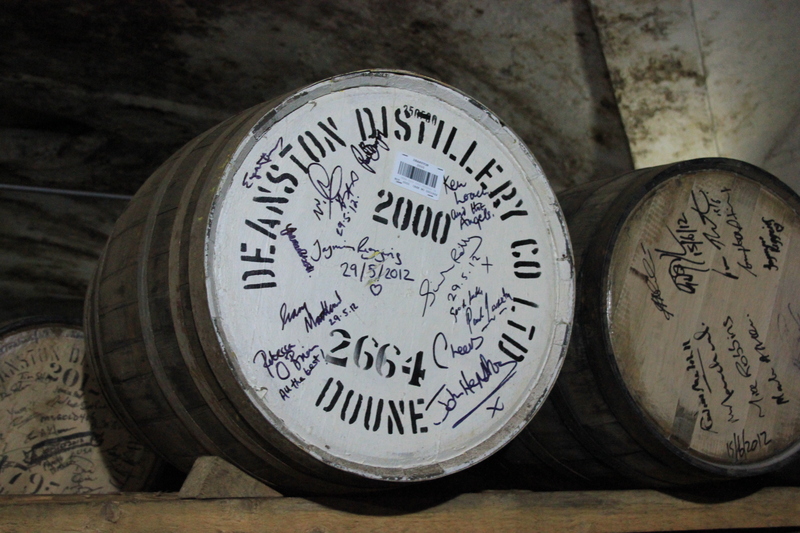 Today’s trip was to Deanston, a distillery featured in the 2012 film by Ken Loach, The Angel’s Share. It is only since the release of the film that the Visitors’ Centre has been open. The distillery itself is housed in an impressive and imposing building, an old cotton mill, on the banks of the River Teith. 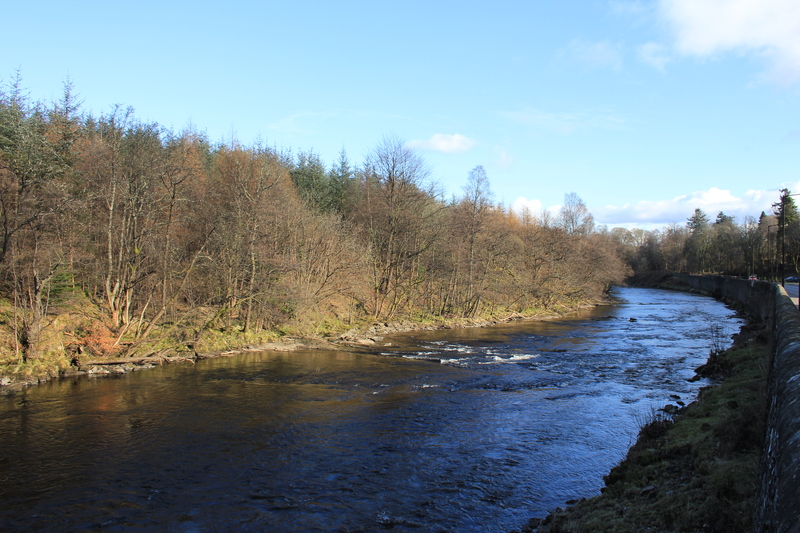 The River Teith is a fast-flowing river, and Deanston makes full use of this – it is the only distillery in Scotland to generate all of its own electricity. It is not only completely self-sufficient; it also sells excess electricity to the grid. 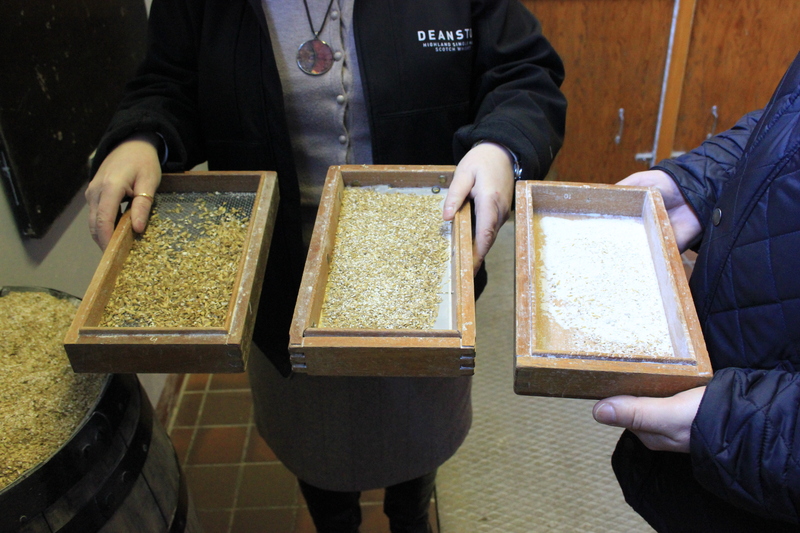 Deanston does not malt its own barley. In common with most Scottish distilleries, it buys it in from maltings. It is then milled into a rough flour known as grist, and then transferred to a mash tun where the maltose sugars are dissolved and wort is made. Distilleries have to be very careful about the milling process. Mill the malted barley too finely and you end up with a fine flour which silts everything up. Mill too coarsely and you will get husk-sized fragments which also impair the process. It is the grist (in the middle tray in the photo below) which is what you want. 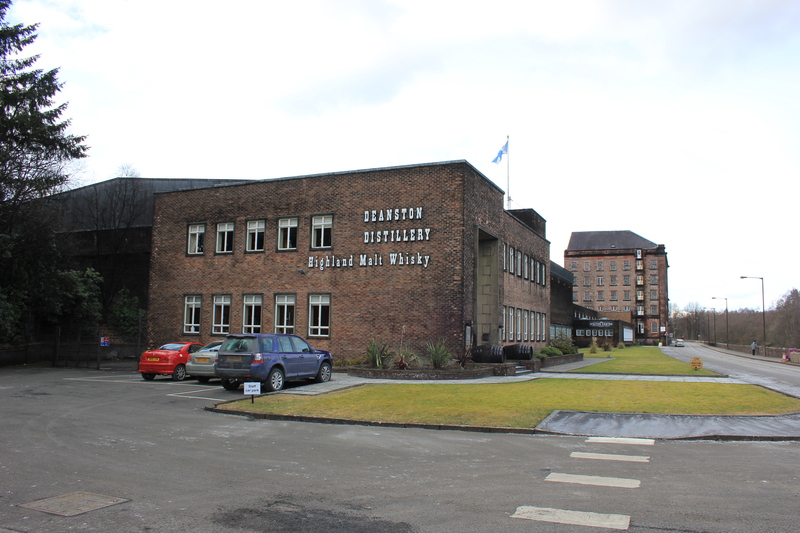 Deanston keep very detailed records about the milling process and what is produced. The mash tun at Deanston is big. It is also relatively unusual. Most are enclosed. 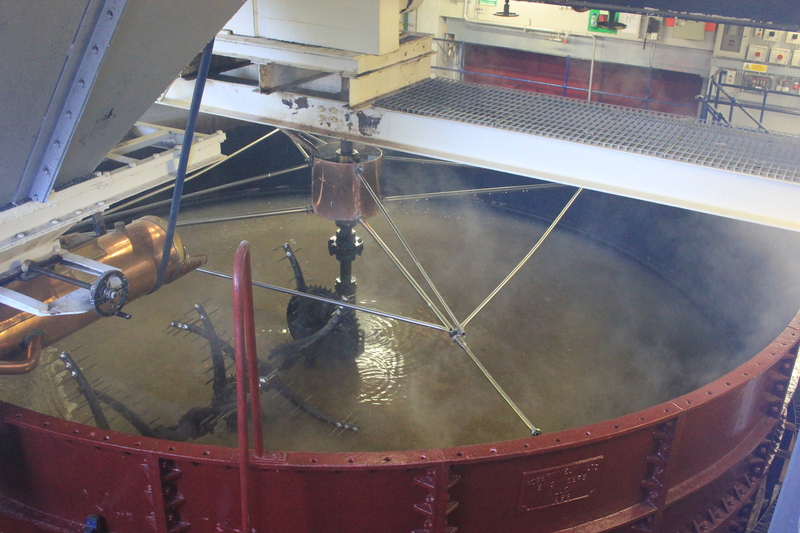 The mash tun at Deanston is one of only three in Scotland that is open-topped. As a result it is a rather steamy affair in the mash house! 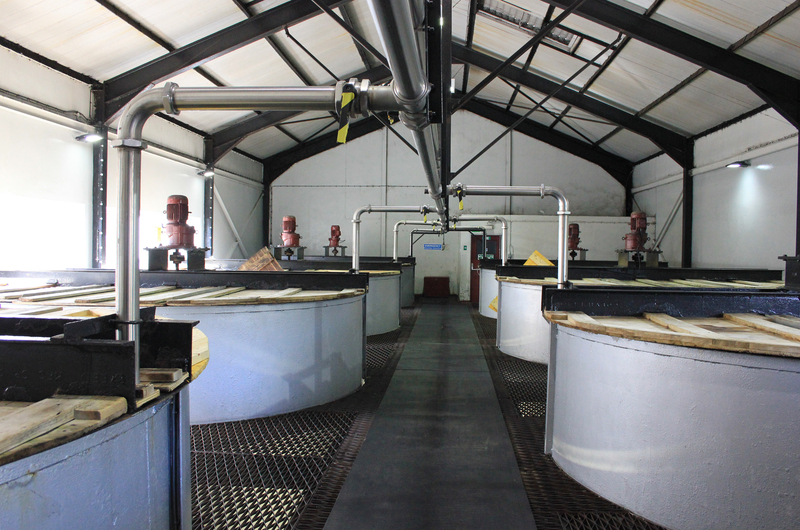 The wort produced in the mash tun is then transferred to washbacks where yeast is added and fermentation starts. From the washbacks the now rather stronger liquid (7-9% alcohol) is transferred to the still house. Many distilleries do not permit photograph-taking in their still houses, for fear of errant camera flashes causing an explosion which would cost them a few thousand bottles of whisky (in addition to a couple of visitors). Unusually (and I was very grateful to them), Deanston were very happy to permit photography and trusted their guests to know how to switch their flashes off. 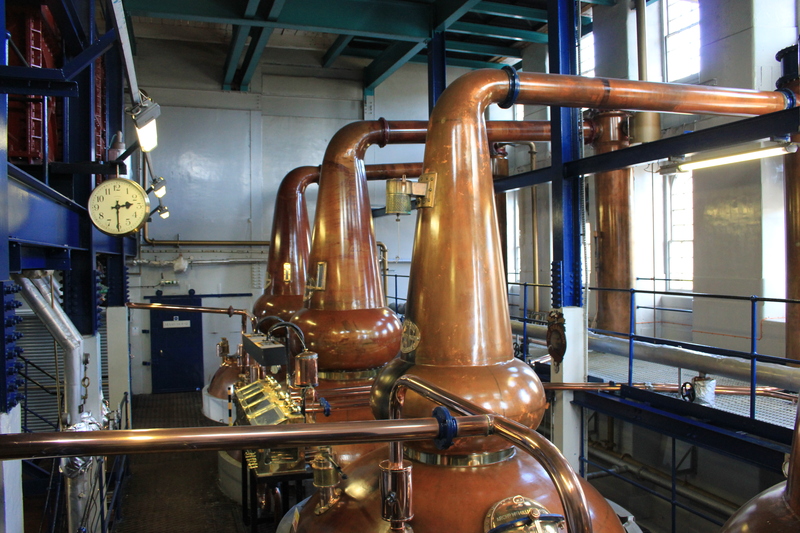 The stills at Deanston are also unusual. The lyne arms (the top part of the still) usually slope very gently downwards. At Deanston, they slope very gently upwards. The reason, we were told, is so that only the lightest, purest vapours reach the end of the lyne arm and condense into the spirit the distillery wants. Once the distillation process is over the spirit is transferred to casks. This process is very, very carefully monitored. The filling is done in front of a glass booth (behind me when I took this photo) and every move is monitored. It is absolutely forbidden for the person filling the cask to turn their back on the booth. This would mean their body would be positioned between the monitoring station and the nozzle of the hose, allowing for a secretive fill of a hidden bottle or other vessel (I would personally go for incontinence pants for volume reasons) which could then be sneaked out of the distillery. Once the casks are filled they are taken to the bonded warehouses for maturation. There were a couple of rather special ones to be found here – signed by Ken Loach, the director of The Angel’s Share, and by his cast and crew. Can you make out his signature? On to the tasting room! We tried the 12-year old and also two particularly interesting drams. The first was the “Virgin Oak”. 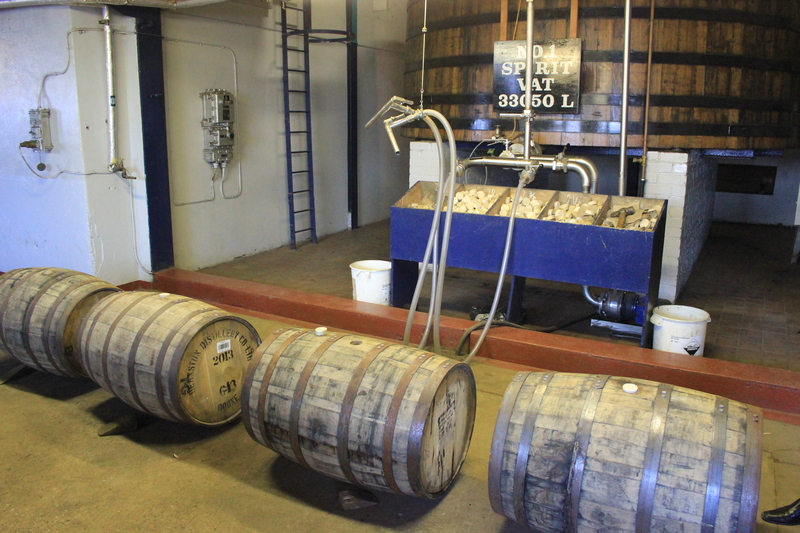 All whiskies are matured in casks which are second-hand, having been used (mostly) for either bourbon or sherry in the past. The flavours of these previous spirits seep out of the wood to give the whisky its own distinctive flavour and colour. The Virgin Oak at Deanston, however, whilst matured in the usual way, was then transferred to a never-before-used cask and finished there. This really affected the taste – a fresh, strong, young oakey taste really came through. 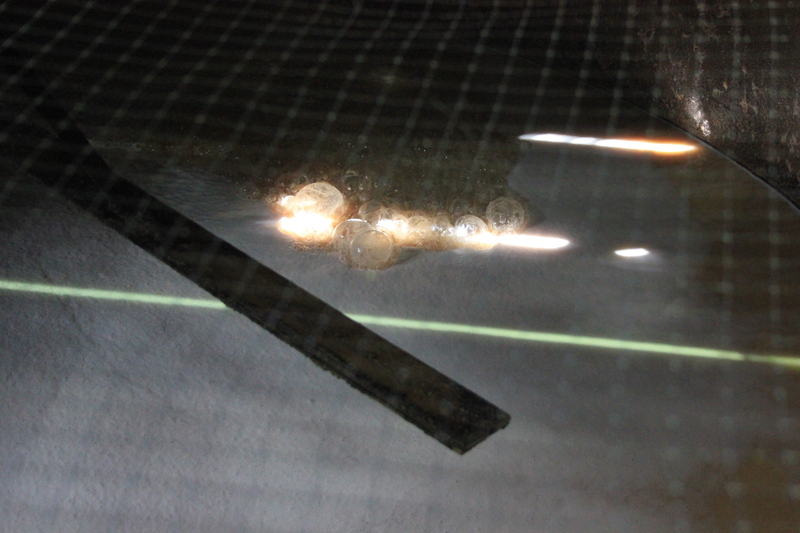 I felt as if I were almost chewing on sodden wood – a not unpleasant sensation at all! This was a young whisky and not that mellow, but still enjoyable and very different. 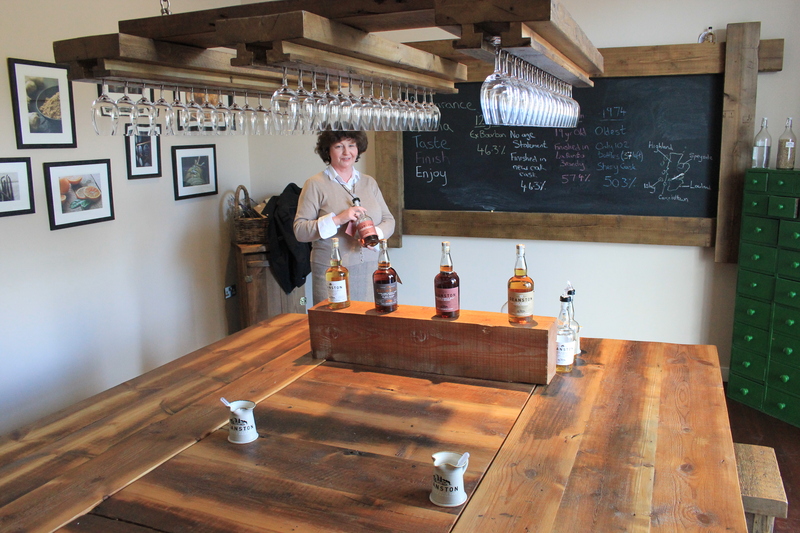 The other whisky was a real treat – “Spanish Oak”. This had been matured for 11 years in ex-bourbon casks, but then transferred to Lepanto brandy casks for another 9 years. This produced another highly unusual taste which is simply fantastic. The finish in the brandy cask really brings out flavours more associated with whiskies matured in ex-sherry casks (christmas cake, spice and toffee). Yet it retains the creaminess and citrus notes that ex-bourbon casks tend to give. Wow! A limited edition which can only be bought from the distillery, it isn’t cheap, and at £92 a bottle I could only afford the one. But that is money very well spent as far as I am concerned. I say again: Wow! 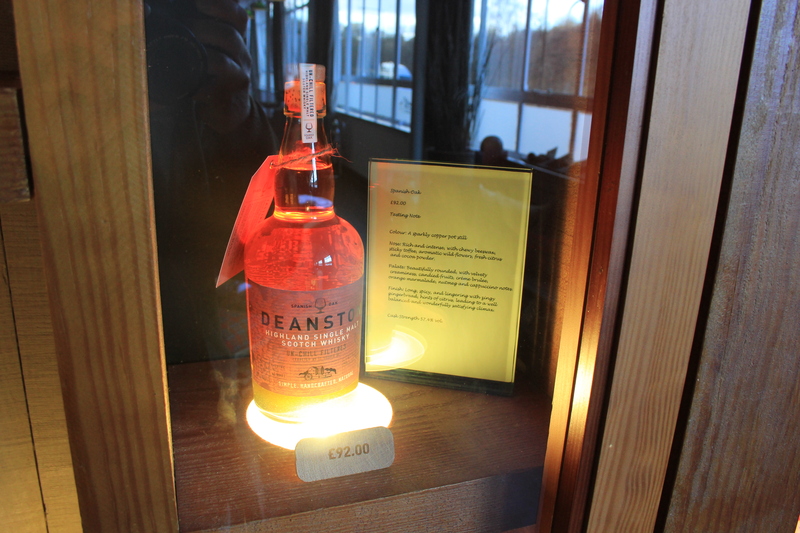 This entry was posted in Scotland, Whisky and tagged deanston, distillery, grist, lyne arm, mash tun, Scotland, single malt, still, washbacks, whisky. Bookmark the permalink.